J.J. Abrams and writers Bob Orci and Alex Kurtzman did in 2009 what I thought impossible: they rebooted a franchise with over forty years of history, including seventy-nine episodes, six motion pictures, four spinoffs, an animated series, countless books, comics, video games, and references in popular culture. It seemed a task that only a fool would tackle. To face the criticism of rabid fans — a group in which I include myself — and the most critical eyes focused on every bit of the film, including story, f/x, sound, acting and music, a failure could have potentially resulted in complete disaster for the franchise and also the death of careers. But J.J. & Co. faced it head on, with fresh eyes, a new perspective, and with intense creativity. And here’s the kicker: THEY SUCCEEDED BRILLIANTLY. 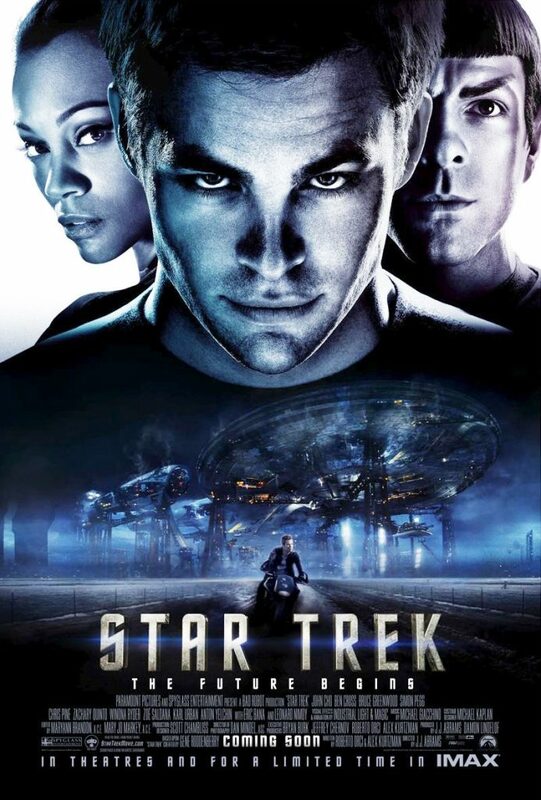 STAR TREK (2009) is a near perfect film in every way imaginable. To take so much history and reboot it so successfully is nearly inconceivable. Fans were skeptical. 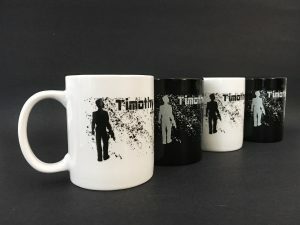 Trek without Shatner? A new Kirk and Spock? Ridiculous. And yet the filmmakers didn’t seem to hesitate or falter under the scrutiny. They kept it simple and absurdly beautiful: they started from the beginning and took it from there. They gave us what we wanted. Kirk, born in battle and living under the specter of his father’s sacrifice. 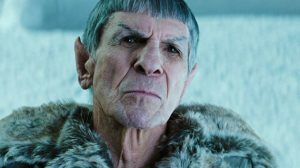 Spock, thrust into an insanely critical society with which we can all relate: bullying and ostracism. And to make things simpler for themselves as well as for new audiences, they created a fresh timeline and threw off the burden of continuity mistakes which threatened each installment and kept former filmmakers’ hands tied and unable to flex their creative muscles. A romance between Spock and Uhura? No problem. Spock as Captain and Kirk as First Officer? Go for it. Kirk and Spock, at each other’s throats? Do it. And do it they did. J.J., Orci and Kurtzman leapt in head first and didn’t look back. They did what they wanted … but they kept the essentials that fans loved. The relationships and friendships built up over forty years are there. The look of NCC 1701 remained the s ar-impossible. He took those legendary sound f/x from the original series, forty years old now, and has updated them while at the same time retaining their distinctive qualities. 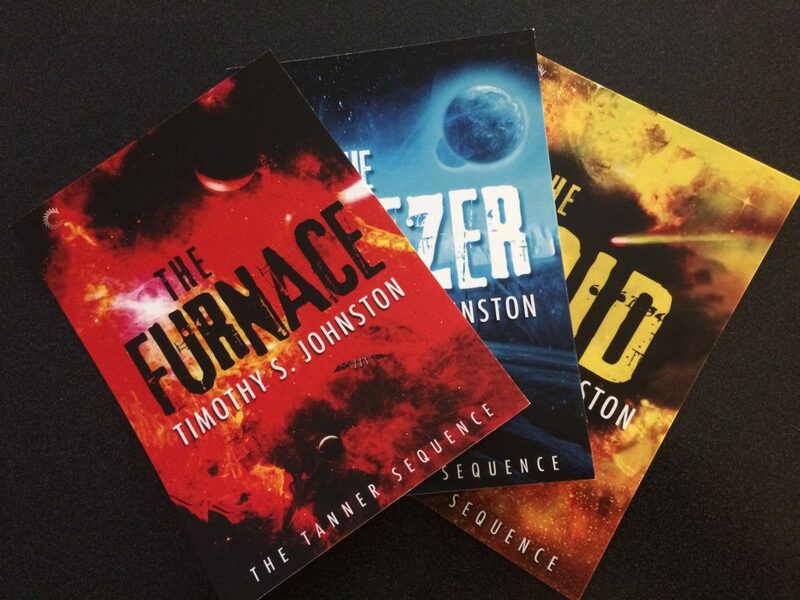 Phasers, communicators, transporters, bridge controls, red alerts. They’ re the same effects … but … updated somehow. And we hear them for the first time in the first few seconds of the movie. It was a brilliant decision to retain the sound from TOS. Something familiar … and given to us early to reassure and comfort us. So the Kelvin soars past the camera … and the sound saturates the audience … and it’s even more familiar than ever before. And then J.J.’s magic really begins. The ship interiors. The soaring camera movement on the bridge. The panoramic views. The trembling camera that reflects the frenetic action and audience excitement. And of course, how could I not mention the lens flares. The lens flares. In a word, awesome. 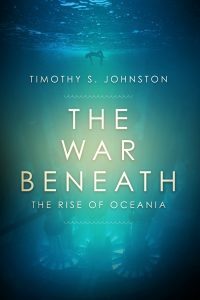 Inside the vessels and outside in the most punishing environment possible … the intensity of light must be exactly as J.J. shows it. A flash that only lasts an instant. Yes, the bridge looks familiar and different at the same time. J.J. has taken what we all knew in our collective consciousness, elevated and transformed it into this motion picture. And that’s what he’s created here: perhaps the first truly cinematic adventure of the crew of the Enterprise since 1979.
its long axis as it moves toward another ship rotating the opposite direction. But what about the story? Surely even though J.J. has succeeded with all these other elements, he might still have produced a beautiful looking slice of boredom. Rest easy, for J.J. has infused this Trek with emotion, love, and basic human desires. J.J. has proven to me with this film and with MI 3, SUPER 8, and his producing on CLOVERFIELD and MI 4 that he cares just as much about emotion and heart as he does with the look of a film. Don’t believe me? Let’s continue with the first few minutes of the movie. We see a man sacrifice himself for the love of his wife and baby. George Kirk does it so others will survive. We see his wife dissolve into tears as she holds her new baby, the realization of what’s just happened to their perfect life. This is what touches people when they watch a movie, read a book, see a television show. Simply put, you have to care about the characters or it’s all meaningless. An emotional reaction is crucial, and J.J. targets the audience in the first ten minutes and unloads a whopper on us. And he doesn’t stop there. Spock, tortured by bullies. Kirk, tormented by an abusive step father. All just to set the stage for a villain from the future and the potential destruction of Earth. This is another must in any film of this type, and it makes me wonder about certain other Trek films. THE STAKES MUST BE HUGE. If the lives of the leads aren’t in danger, then so is your film’s success. If the Earth or the galaxy or the entire universe isn’t threatened, then you’ve lost the audience. You have to worry about the outcome of the film in order to be viscerally and vicariously involved in the story. J.J. knows this. For years people in this industry have talked about his talent. He has his critics too. But he talked the talk and he walked the walk. He made a film that silenced most of the critics. But more importantly, he brought new Trek fans into the fold. The film appealed to the masses, and the box office showed it. 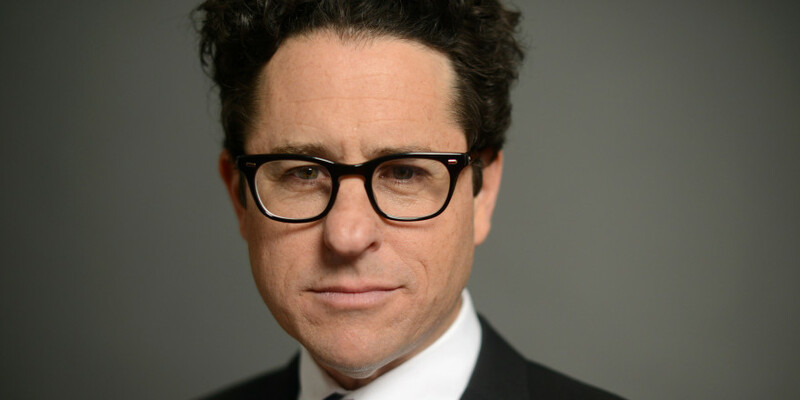 So who and what exactly is J.J. Abrams? To me it’s simple and has been said before. He has the emotional sensibilities of Steven Spielberg and the visual creativity of Michael Bay. It’s a combination that should thrill fans of Trek. I have to touch on the music. Longtime J.J. collaborator Michael Giacchino really came through on this one as well. With Jerry Goldsmith and James Horner and Alexander Courage as his predecessors, the expectations were huge for Giacchino. However, his soundtrack is soaring and beautiful, heart-breaking at times and exciting and pulse-pounding at others. For the first time in Trek there’s a choral arrangement near the climax … it was a great decision and it truly worked. How do I know? I can whistle it right now as I write this. Can I say the same of GENERATIONS, INSURRECTION or NEMESIS? The casting also defies belief. How do you replace such incredible icons as Shatner, Nimoy and Kelley? After all, they were typecast as the Starfleet characters they played for decades. But it all worked. 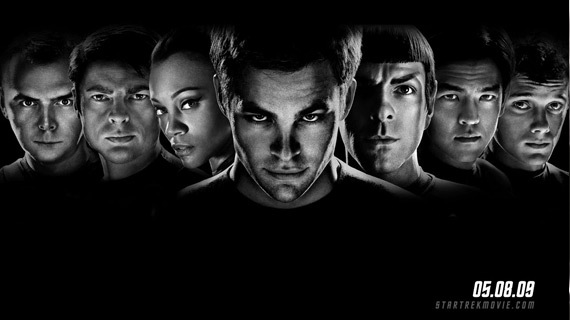 Chris Pine, Zachary Quinto, and Karl Urban are pitch-perfect. 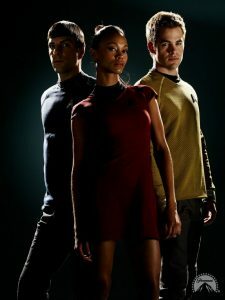 Zoe Saldana, playing Uhura as gorgeous and sweet and highly intelligent, is great as one third of a love triangle. Eric Bana has the enormous presence needed for an effective villain. Bruce Greenwood provides the gravitas and solemnity needed for Starfleet. Anton Yelchin, John Cho and Simon Pegg are essential additions and preserve much of TOS’s humor. I can’t wait to see more from them. So it seems as though everyone on the production did the impossible three years ago. J.J., Orci, Kurtzman, Burtt, ILM, Giacchino, and Paramount. But surely, you’re thinking, there must be some negatives in this movie. What about the acting? The villain? The story? Well, I don’t want to dwell on the negative, especially with such a monumental achievement. I probably only have to say a few words here: Engineering is one. ‘Nuff said on that. Not enough interaction between the famous triumvirate. But that’s about it, and these are only minor quibbles.